How can you resist these adorable cookies in the shape of teddy bears? These chocolate spritz cookies from the Love From the Oven blog caught our attention from the moment we laid eyes on them. Chocolatey. Adorable. And doubtlessly delicious. We knew from the moment we spotted them that we had to feature these cookies. After all, if you're anything like us, spritz cookies just scream "holiday baking." And if you love chocolate, what could be better than a chocolate spritz cookie? And packaging the cookies in a jar with a ribbon? What a great idea. Not into teddy bears? Check out the other shapes Christi made with her OXO cookie press. Just adorable. 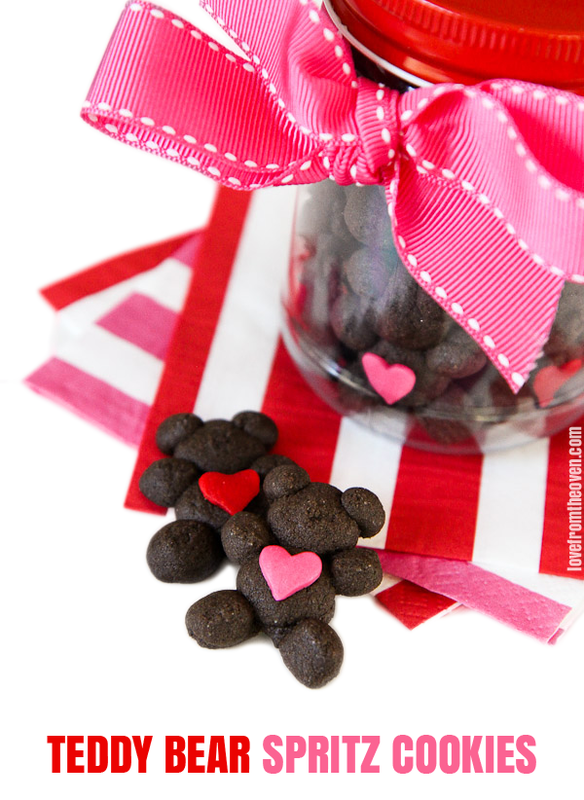 Get the recipe: Adorable Chocolate Spritz Cookies.